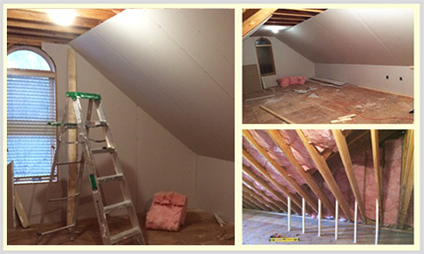 The Attic is one of the most underrated places in your home, but it can offer a lot of useful space. In order to enjoy that space, it must be kept clean and organized. Some of the common problems that prevent you from using your attic more efficiently are caused by rodents, other animals and deteriorating insulation. Our team of experts is trained in various attic cleaning techniques. We have top industry customer satisfaction rates, so you can rest assured that your home is in good hands. With years of experience in the Attic Cleaning Industry, we’ve seen it all. We are passionate about what we do, and there’s no better feeling than seeing a customer’s reaction once the job is completed. Quartz Solutions is licensed and insured. We offer a fast response time and guarantee the highest quality of work.